It is a challenging task to run a WordPress blog, but it is definitely possible. You just have to ensure a few things are in place. These include the site design, content, marketing and social media. You also have to ensure that your WordPress site is operating smoothly and the WordPress hosting service provider you are working with is not creating any headaches. Most of the website hosting service providers out there in the market are focused on offering affordable solutions. For less than $5 you can open an account with a provider of shared hosting service. This a great option if you are just getting started in building an online business. However, if you are operating a medium-sized business, then opting for a high-quality WordPress hosting service makes better sense. Quality hosting actually refers to managed WordPress hosting. This is because it is created specifically for WordPress users. The managed WordPress hosting solution is fast becoming a popular alternative among WordPress developers and bloggers. 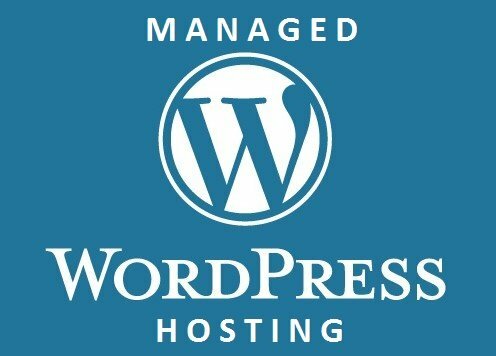 Managed WordPress hosting was initiated with WordPress.com VIP. However, there are a number of players in the market today. The goal of managed WordPress hosting service is to ensure faster loading of websites, expert WordPress support and better security. This service is slightly more expensive than shared hosting services. This is because the servers are configured not only to provide better, but also faster WordPress performance. In this article, we will provide some basic information about a few of the best managed WordPress hosting service providers so that you can take an informed decision as to which service provider is best suited to your needs. Prior to that it is a good idea to have some understanding as to what is managed WordPress hosting, especially if you are new to this field. As managed WordPress Hosting service is designed and optimized specifically for websites created using WordPress, it takes care of all of the technical aspects related to WordPress on your behalf. This allows you to focus more on your job of creating and sharing good quality content, relieving from worrying about issues such as site updates, speed of the site, up-time, etc. Many of these hosting companies make use of their own CDN as well as server level caching so that you are relieved from the worry of relying on cache plugins like WP Super Cache or W3 Total Cache. This shows that this type of web hosting is best suited for individuals who cannot spare time for managing the server or lack technical skills. This is the main goal of premium managed hosting services. They offer an extremely tight security layer on their servers. As a result, you do not have to about issues like hacking, DoS attacks and malware. Shared hosting service providers do offer good support and most companies have skilled and experienced staff on their rolls. However, they cannot provide assistance for things like WordPress errors, performance, site functionality, etc. If you subscribe for a managed WordPress hosting service, you will always be provided with expert WordPress assistance. Speed is an important factor when it comes to site rankings by search engines. You can do a lot of things to improve speed. These include implementing a caching plugin, using a content delivery network (CDN) like MaxCDN and reducing image sizes. As most of the managed WordPress hosting service providers enable content caching in the server itself. As such, you are not required to make use of an external caching plugins. If you choose a normal plan, then you may have to use a CDN in order to increase site speed. Other advantages of opting for managed WordPress hosting include daily backups, automatic updates to WordPress Core files and no downtime. SiteGround is best suited for those who are looking cheaper options. They provide WordPress security feature and speed solution at a reasonable price. They also offer all the features of shared hosting such as free domain name, WordPress installation, support, and WordPress migration and email accounts for about $3.95 per month. Staging area, which creates replica of a live website, allows you to test new plugins and themes before applying them. DreamHost offers a number of features for your personal- as well as business-related web hosting options for building attractive and flexible sites. They strike a perfect balance between features and price and it is best suited for users who have prior experience in website administration and have the tools for building their own site. This is to say that those having appropriate site-building capabilities would find the robust and flexible packages of DreamHost to be very appealing.